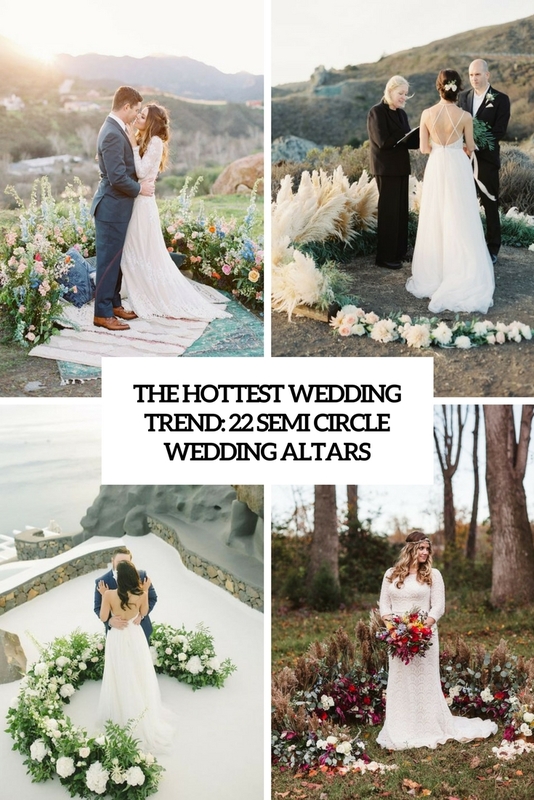 We’ve already told you of the hottest wedding arches and altars: a large circle or wreath wedding arch and a triangle altar. 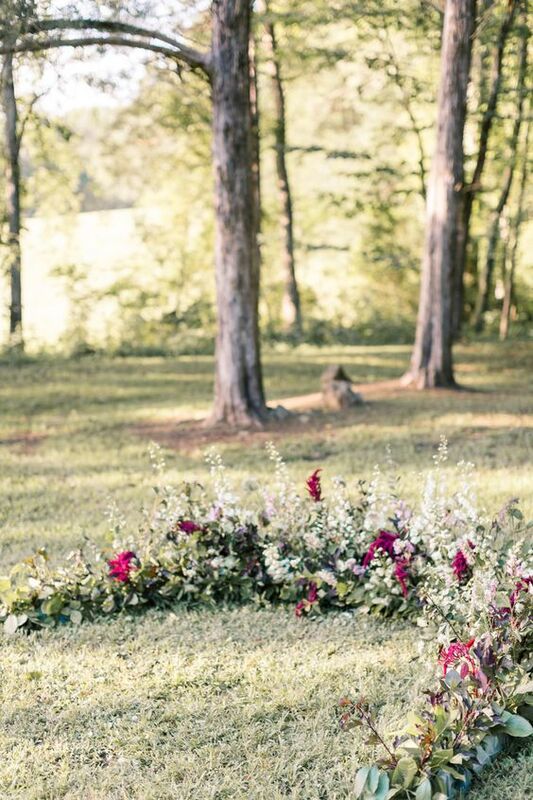 But there’s one more idea gaining popularity: semi circular wedding altars. 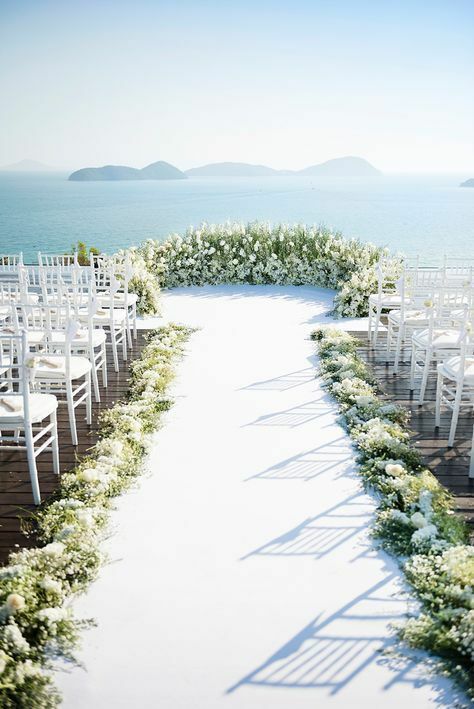 This is an amazing way to stand out with your decor and to highlight the amazing view – no obstacles to enjoy it! 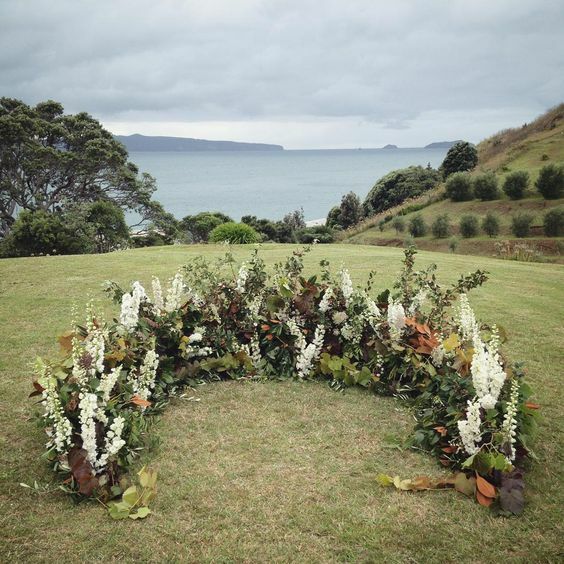 Such altars are suitable for any kind of location and for any wedding theme, which makes them even cooler. 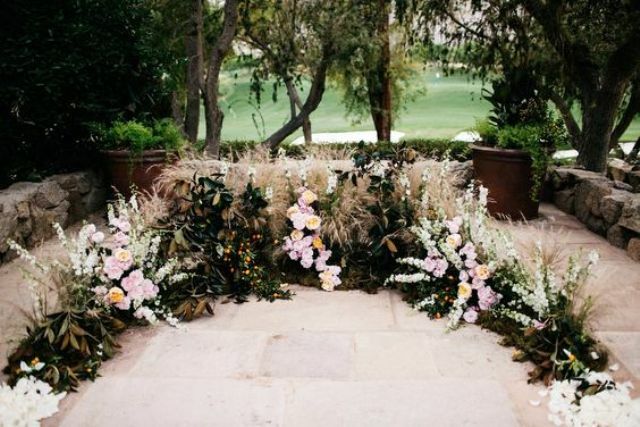 They can be installed indoors and outdoors and you may even add potted plants and flowers if you want; some stylists include cool faux blooms to make these altars even more textural and interesting. 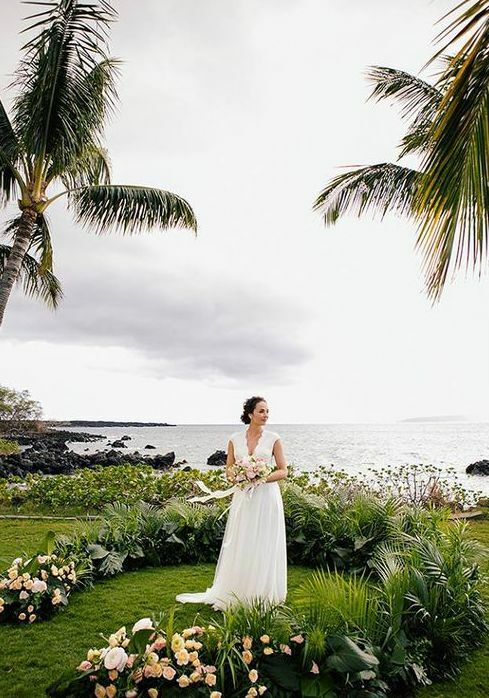 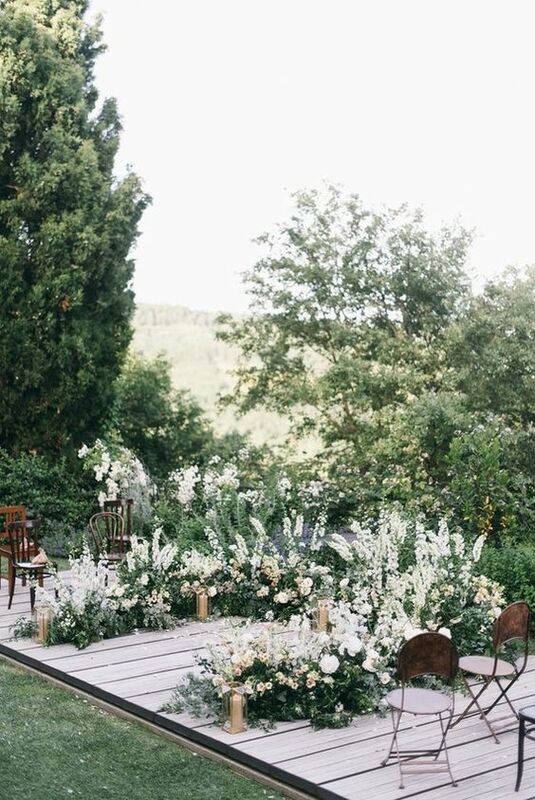 Consider your wedding theme and venue, greenery and blooms you use for other decor and go for it. 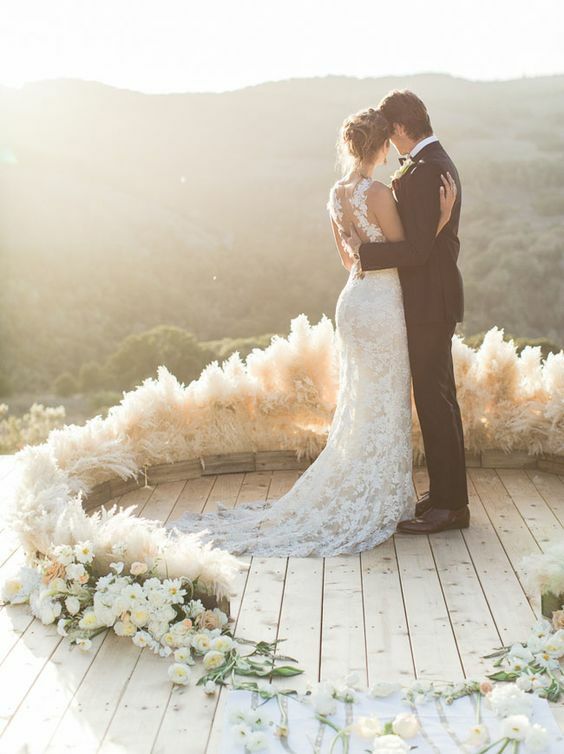 Wanna see some beautiful examples? 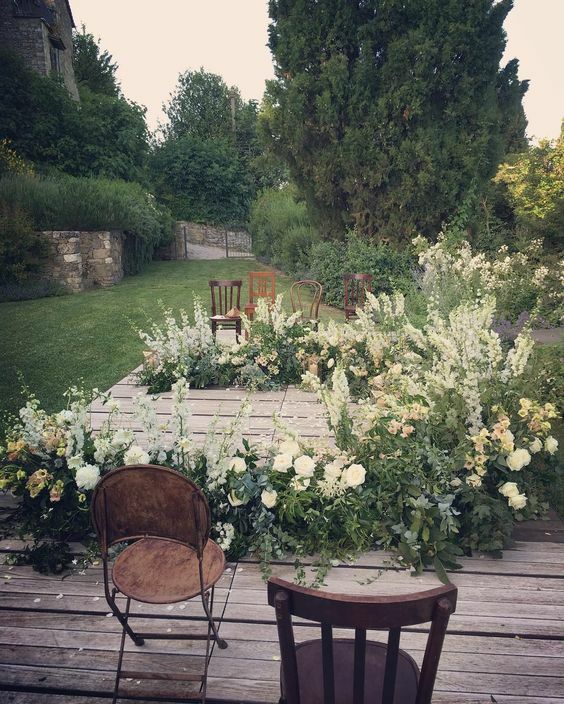 I’m ready to share some fantastic ideas to get you inspired, let’s start! 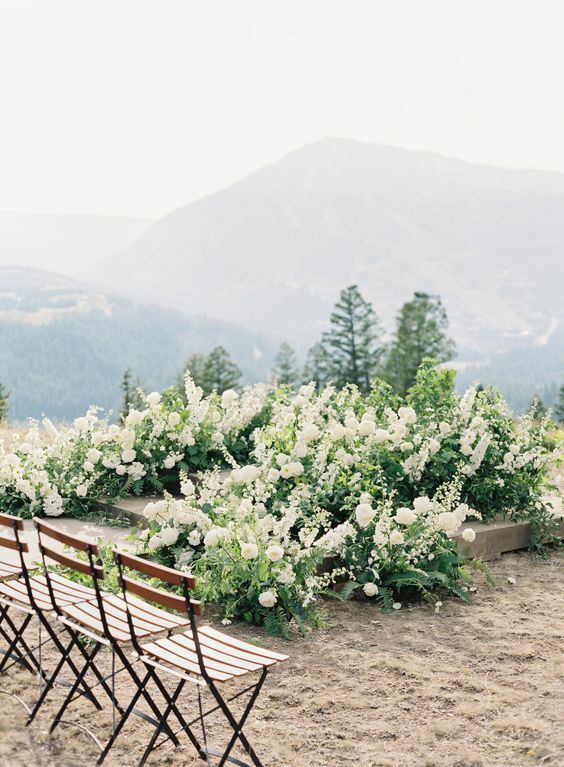 Flowers are essential for wedding decor and you may incorporate as many of them into your altar as you want. 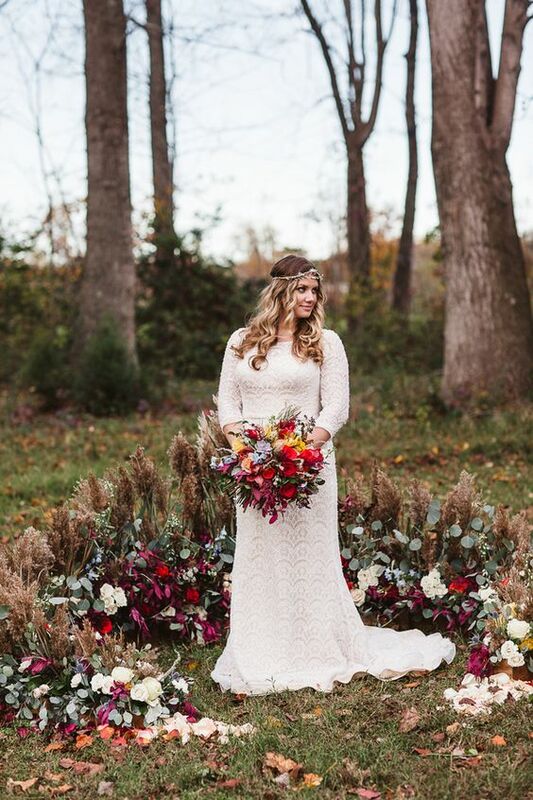 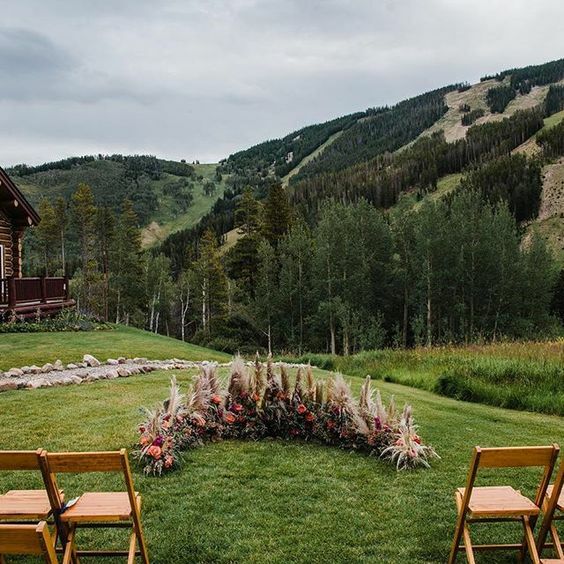 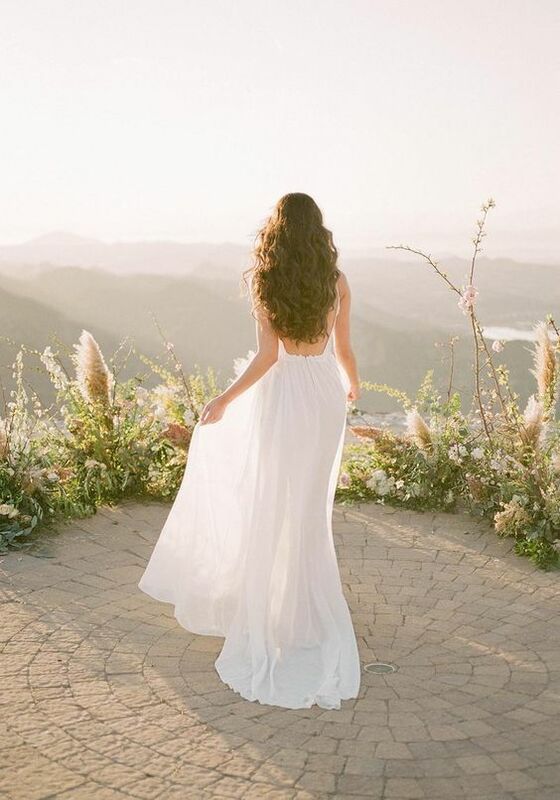 Consider your wedding theme and colors choosing the altar look: go for the same blooms and colors, add herbs and grasses for a woodland or boho chic wedding. 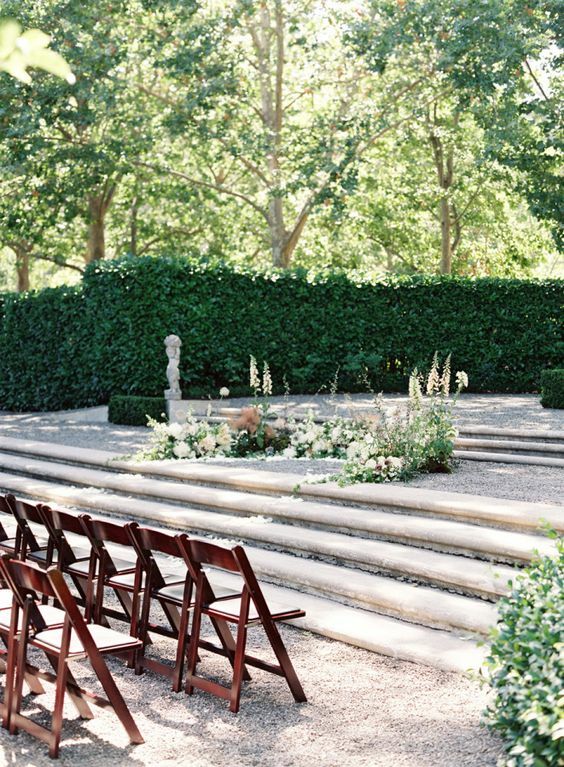 Go for lush greenery and foliage for a more refined look – this is ideal for a garden wedding. 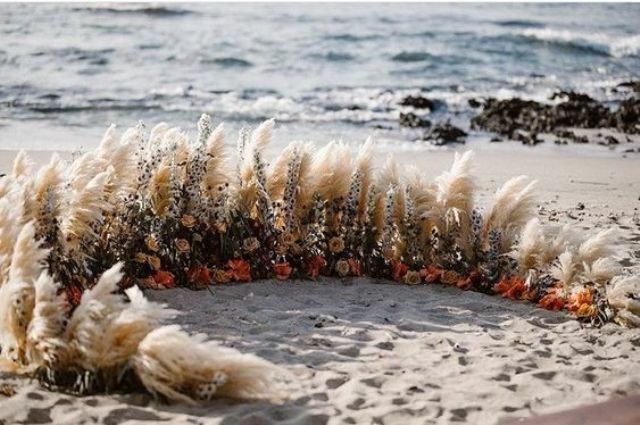 The flowers can be incorporated into your wedding altar only on the sides or in the whole altar curve, it’s up to you and your look you want. 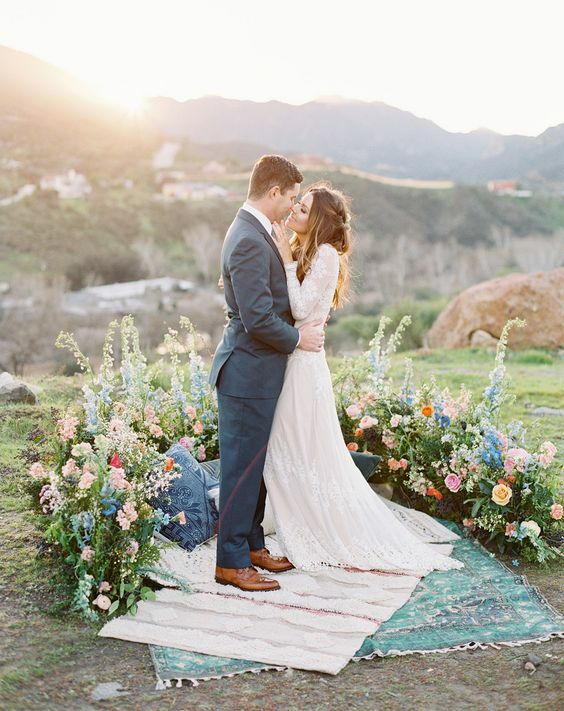 Wildflowers will add a relaxed and textural look to your wedding altar, they are ideal for a boho chic or woodland wedding or just a backyard one. 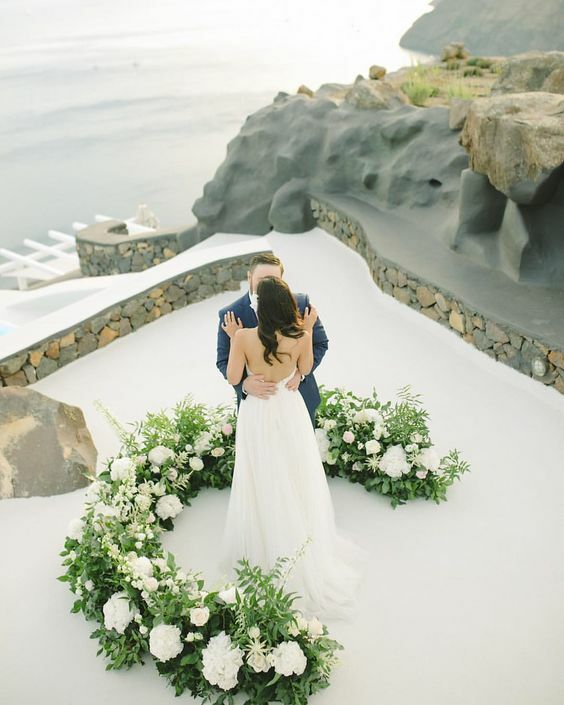 If you don’t want to incorporate many blooms into your wedding altar, there are many other ways to make it eye-catching. 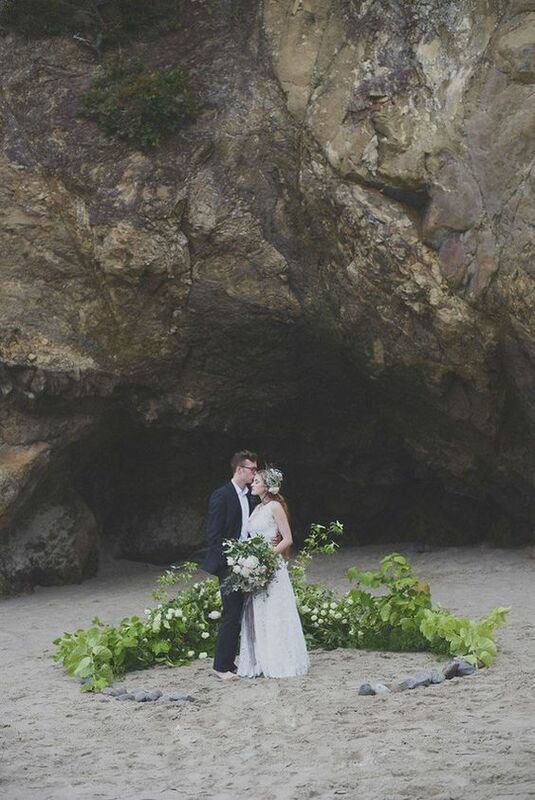 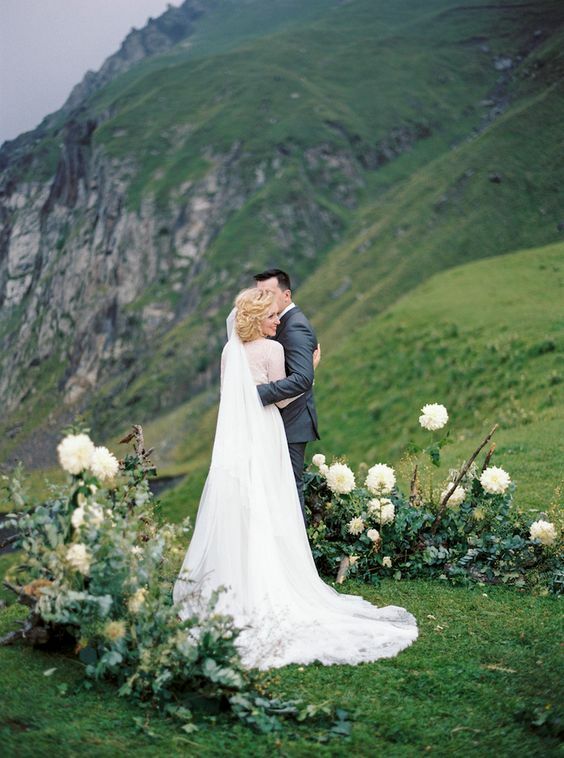 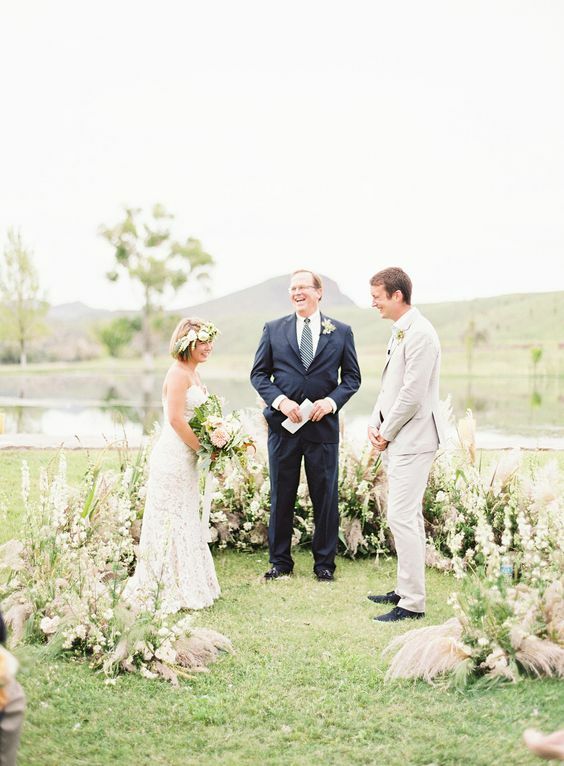 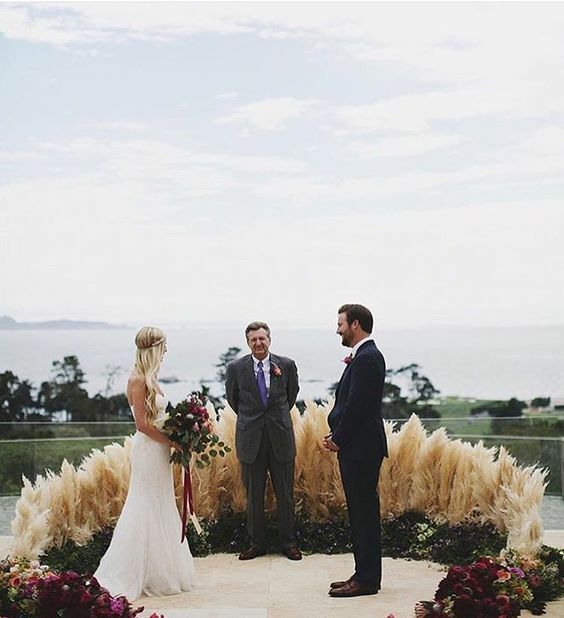 Pampas grass is a very popular wedding trend, and rocking an altar of it is a gorgeous idea. 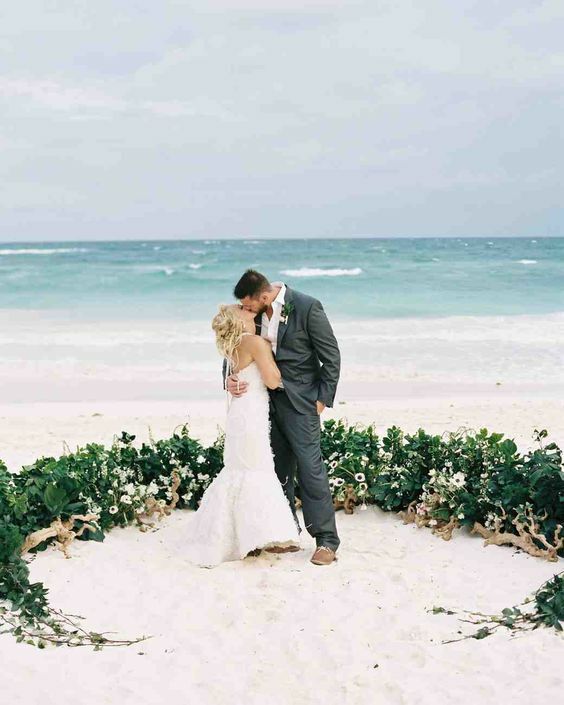 Various herbs and leaves are great for adding texture to your altar and you may incorporate some other things, too, for example, candles or candle lanterns will add a romantic feel to the altar, and driftwood and shells are ideal for a beach or coastal ceremony.